Kerala, the land of coconut lies in the southern of the Indian subcontinent and is a natural attraction. Fein sand beaches with palm trees are frequently replaced by the tropical jungles and green highland. 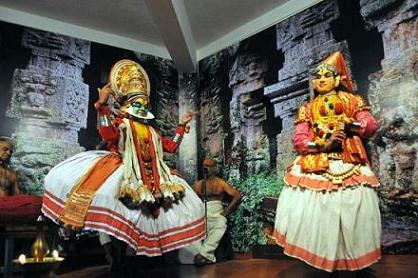 Visitors are impressed by the spices and fragrance of Kerala. 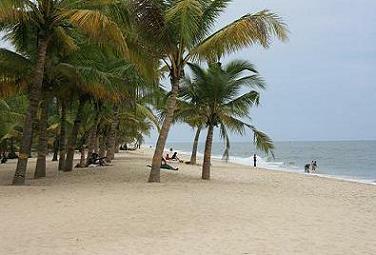 The beaches in Kerala are rated among the best in the world. Trivandrum, the capital of Kerala is famous for its Kovalam beach. The Coconut palm which grows in abundance is used in different ways. Each part of the coconut tree is put to use. 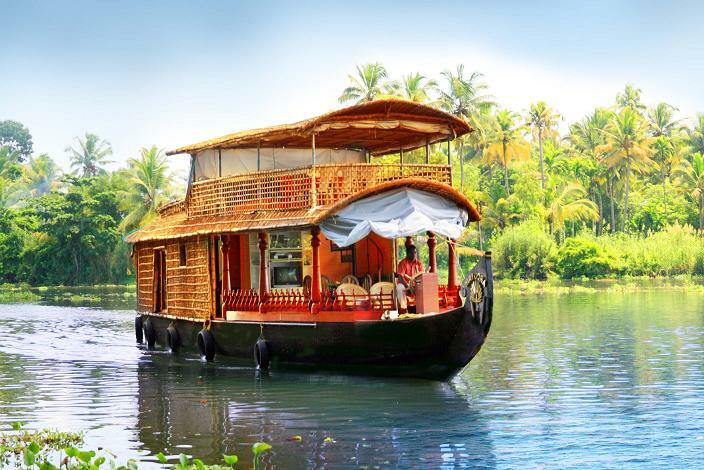 In the Kerala Coconut Land tour you will enjoy a Boat cruise along the backwaters all the way to Alleppey. This tour is one of the most delightful tours in India. It does give an almost unique quiet view of Kerala village life, impossible to get simply from the road. Around Midnight arrival in Mumbai (formerly known as Bombay). The cosmopolitan City and capital of Maharashtra is the main gateway for travellers to South and West India. You are met by an Indo Vacations representative and transferred to the Hotel. Today we enjoy the city tour of Mumbai. Mumbai is the second biggest city of India and is full of contrasts. 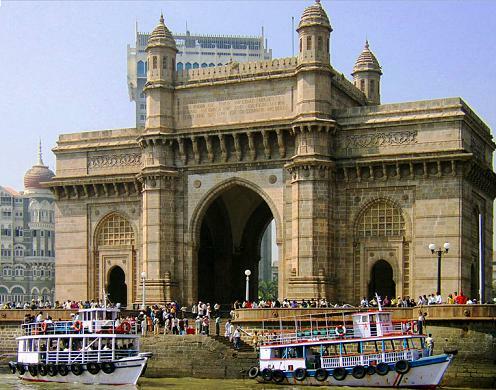 Mumbai with its temples, cathedrals and mosques is a real cosmopolitan city of India. In Mumbai we have a walk through the harbour area and visit the Gateway of India built in 1927 by English to commemorate the visit of George 5th. We leave today the tropical coast and drive to the mountains of Kerala. 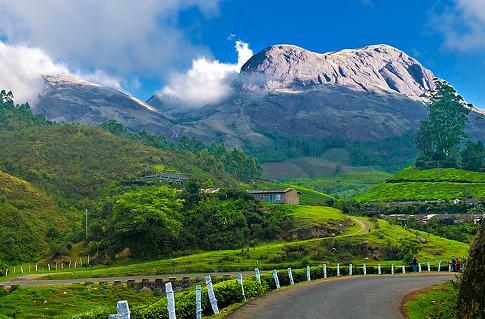 Munnar lies at an altitude of 1530 m and is surrounded by Tea and Cardamom fields. Beautiful scenery in and around makes this place worth visiting. Today we will explore the surrounding on our own. Today we leave Munnar and drive through the wild mountains to the real original fields of cardamom. The rest of the day at leisure to discover and explore the beautiful surroundings. Today we have an opportunity to observe people working in the Tea fields In Carmelia Haven we enjoy our stay in a beautiful bungalow. Today we leave the tea fields and drive to the Periyar National Park. We start our sightseeing by having a Boat ride on the lake of Periyar. 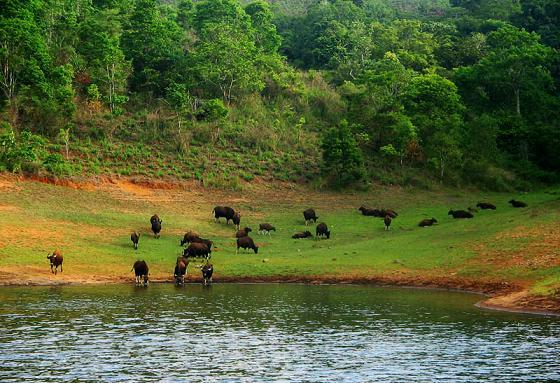 The lake of Periyar is the central point of the famous Periyar Wildlife Sanctuary. Periyar Wildlife Sanctuary covers an area of 780 square km and was designated a part of project Tiger in 1973. After the Boat ride we drive through the park and observe the Elephants, Bison, Sambhar, Wild oxen, Wild boar and Spotted Deer which are common here. In the afternoon we drive through the mountains which are full of Cardamom and pass through the tea and coffee plantations and proceed to Kumarakom. In Kumarakom we enjoy the Boat ride trip through the tropical vegetation on the backwaters. The whole day is today at leisure. One can enjoy the Ayurveda massage in the hotel or have a nice walk in the nice tropical surroundings. The Swimming Pool of the hotel will be to happy to welcome you for swimming and relaxing. Today we enjoy a Boat trip for two hours through the narrow channels of famous backwaters of Kottayam and arrive in Alleppey from where we proceed further to Mararikulam. Mararikulam is a famous beach resort at the Malabar coast. During next two days we enjoy the famous palm beaches of Mararikulam by refreshing our memories of our Kerala Tour as we have here an opportunity to enjoy two sunny days at the famous beaches of the ocean of Mararikulam. Today we drive to Cochin. This drive gives us again an impression of the beautiful landscaping of this region. In the afternoon we take a flight from Cochin to Mumbai. After our arrival in Bombay we will get refresh and have dinner before we depart for the airport. Around midnight flight back to home destination.